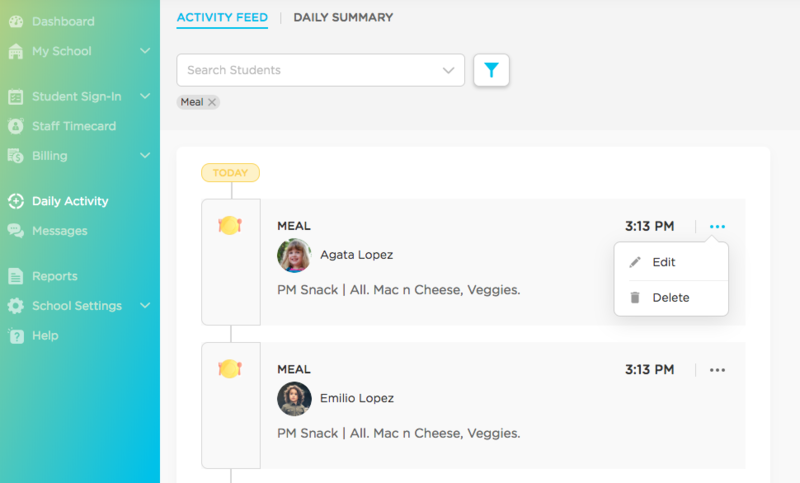 Are you serving food to children during the day? 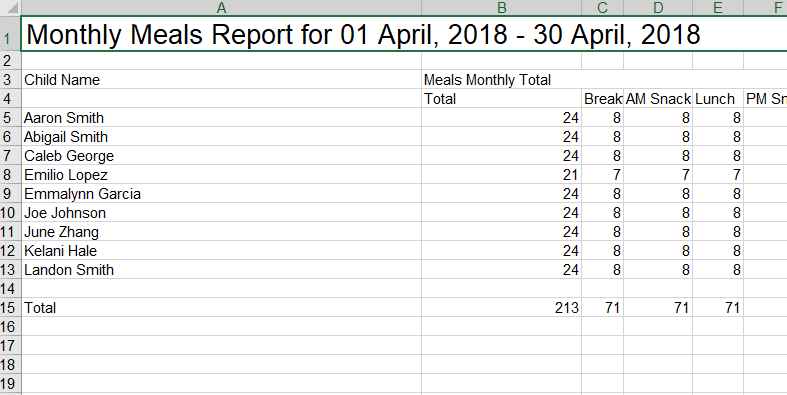 You can communicate that information to parents and download a spreadsheet with your meal numbers to submit to the Child and Adult Care Food Program. 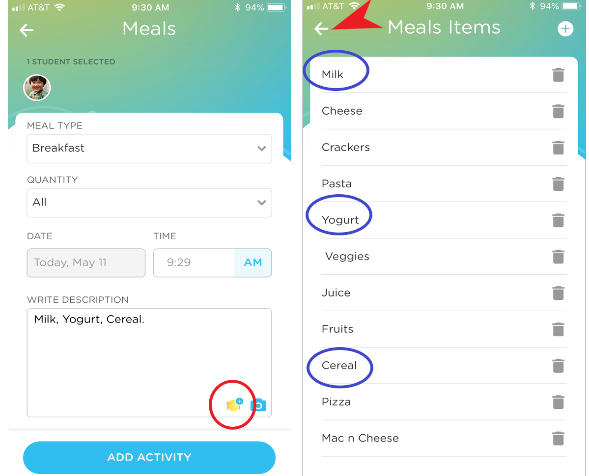 This article will detail the food logging process in both the app and on the website, how to edit those meals (to update how much the child ate for example) and how to pull the meals report. 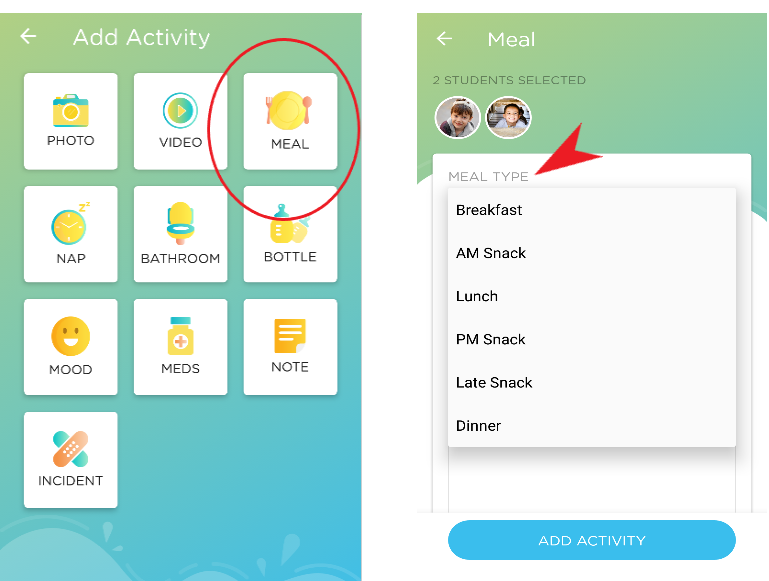 To add new food items click on "+" sign at the top right of the page. 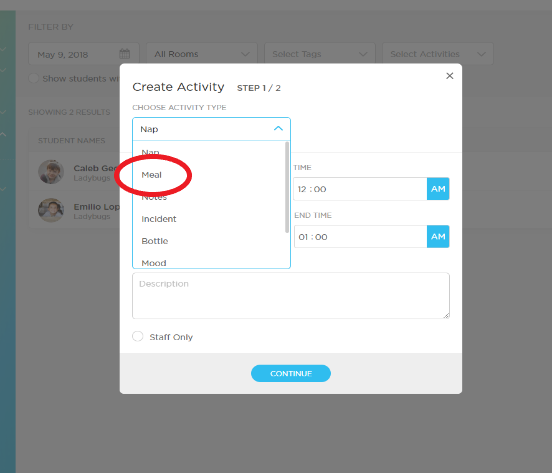 Click on the ellipsis for the activity you wish to edit.